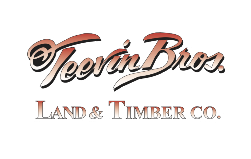 Our corporate office and main truck facility is located in Knappa, Oregon, just off US Highway 30, approximately 11 miles east of Astoria, Oregon. This location hosts our main administrative offices including our human resources department and serves as the hub for quarry and road operations. It also acts as our main maintenance facility. From Portland or I-5: follow signs to US Highway 30, then drive west on Highway 30 to Knappa, approximate highway mile 84. At the Knappa intersection (Logger Restaurant), turn right. From Astoria: drive east on Highway 30, towards Portland. You will see our sign and corporate office building on your left prior to the Knappa junction intersection. Turn left (Logger Restaurant).